I'm getting ready for my high school class reunion and need buns to serve with pulled pork. Previously, I've made Potato Puff Rolls and Hawaiian Rolls and had every intention of purchasing a multigrain roll for the third option . . . but I couldn't find what I wanted so it was back to the kitchen. And, that's fine as Barry was trimming and browning the pork that we'll slow-bake tomorrow in pork stock. I adapted a King Arthur recipe for slider buns, that I had made before, to create the recipe that follows . 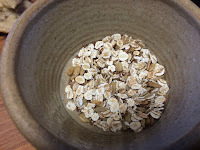 . .
Add roll ingredients — water through sunflower seeds + 2 cups flour and mix (using the flat blade) in a Kitchen-Aid mixer. Add about 2 to 3 cups more of the flour . . . about ½ cup at a time. 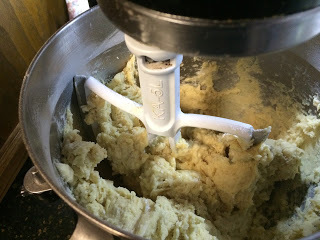 Once mixed, change to the dough hook and knead until dough is smooth and not sticky, adding more flour as needed — dough should pull away from the sides of the bowl and form a cohesive mass. Add dough to a bowl that has been drizzled with vegetable oil, turn and then cover with a towel; let it rise for 1 to 2 hours, or until it's nearly doubled in bulk. (For a faster rise, add to a warm oven set on low (about 190°). Gently deflate the dough. Using a bench knife (dough cutter) or a knife, divide dough into 20 pieces (each weighing approximately 2 ½ oz.). Shape dough into balls and place on a silicon-lined baking sheet (or use parchment paper that has been sprayed with pan release). Using your hand, slightly flatten balls of dough. Brush rolls with egg mixture and sprinkle on seed mixture. 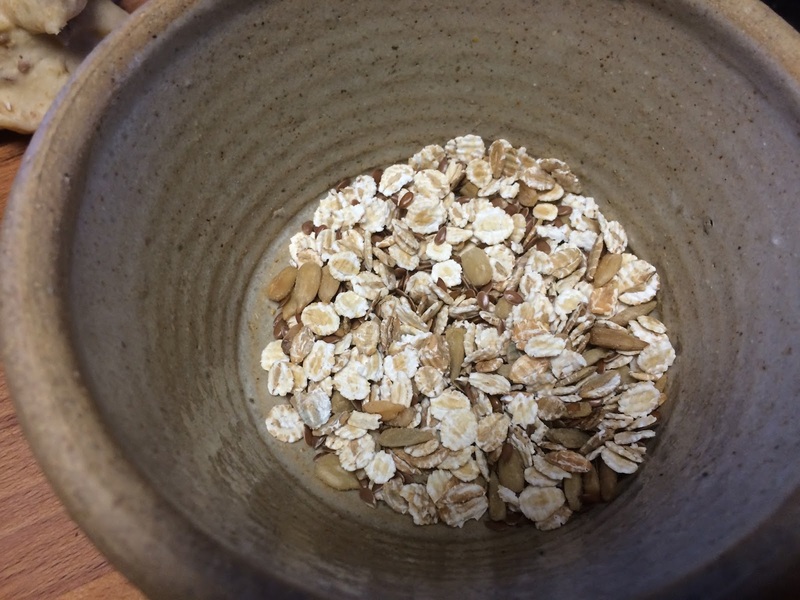 Again, use your hand to lightly press seed into dough. Cover and let rise about an hour. Bake the buns for 10 to 12 minutes, until they’re a light golden brown; when tapped on the bottom, they should sound hollow if baked through. Remove them from the oven, and cool on a rack.